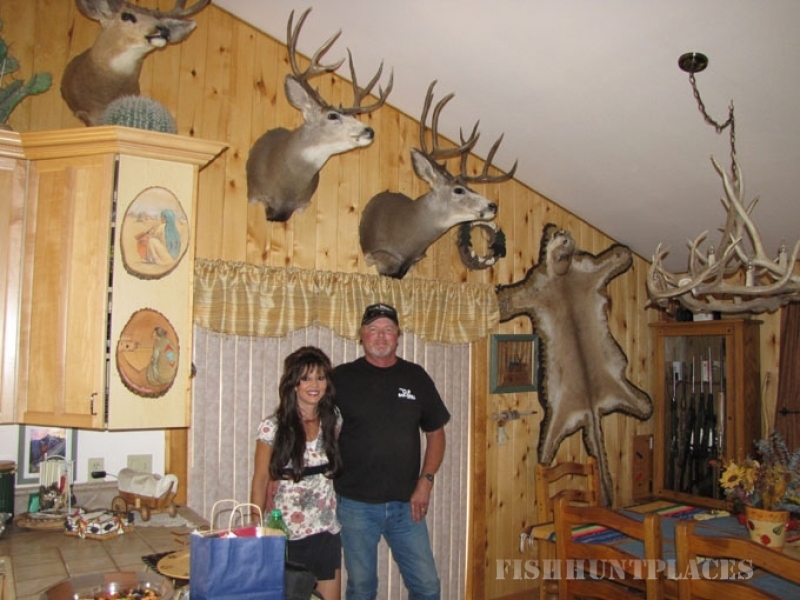 The Cherry Ranch is historically renowned as a high quality hunting ranch. It is surrounded by private ground on 3 sides, borders the Jensen State Wildlife Area on the north side and is only 2 miles from the White River National Forest (as the crow flies). The long and short of it is, the Cherry Ranch acts as a natural funnel for elk and deer to hide out during peak high pressure hunting periods from surrounding public grounds and harder hunted local private properties. YOU'LL SEE MORE GAME HERE! We at Cherry Ranch Outfitters offer "2 to 1" or "3 to 1" guide services for a limited number of clientele. This is a working livestock ranch, and therefore is easily accessible by motor vehicle, which is our normal mode of travel. If you're a person who enjoys the outdoor experience but doesn't want to share it with the whole state of Colorado, then this is for you. We here at Cherry Ranch offer affordable quality big game hunts to a limited number of hunters on a first come basis with over 60 percent repeat clientele yearly. You will develop friendships & memories to last a lifetime and probably fill your tag here! We offer this large mountain ranch for big game hunting. We feel we can honestly offer more "Bang For Your Buck". Many of our repeat customers will gladly testify that this is truly a great value.